Dido (dy-doh) Unlike most female characters in the Aeneid, Dido is a strong woman who possesses heroic dimensions and a will of her own. Juno (jyoo-noh) The queen of the gods and Jupiter's wife. As the Trojans's most powerful opponent, Juno strives to frustrate and delay the fulfillment of their destined mission to create a new home in Italy. Anna (ahn-nuh) The warmhearted and impulsive sister of Carthage's Queen Dido, Anna has little importance as a character in her own right, but with her unwise counsel she initiates a series of actions and events that have overwhelmingly important consequences. 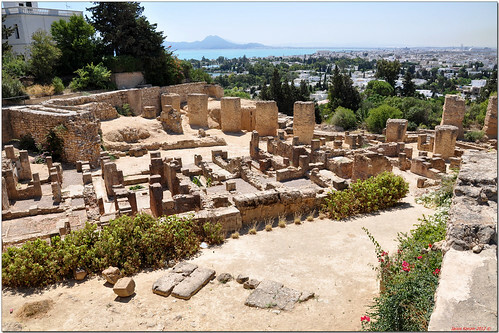 Carthage was founded in the 9th century B.C. on the Gulf of Tunis. From the 6th century onwards, it developed into a great trading empire covering much of the Mediterranean and was home to a brilliant civilization. DATE OF FIRST PUBLICATION · Virgil died in 19 B.C., before he finished revising the Aeneid; it was published after his death. Expell'd and exil'd, left the Trojan shore. Long labors, both by sea and land, he bore,"
Her soul with love, and fan the secret fire. Improve the passion, and increase the smart. " 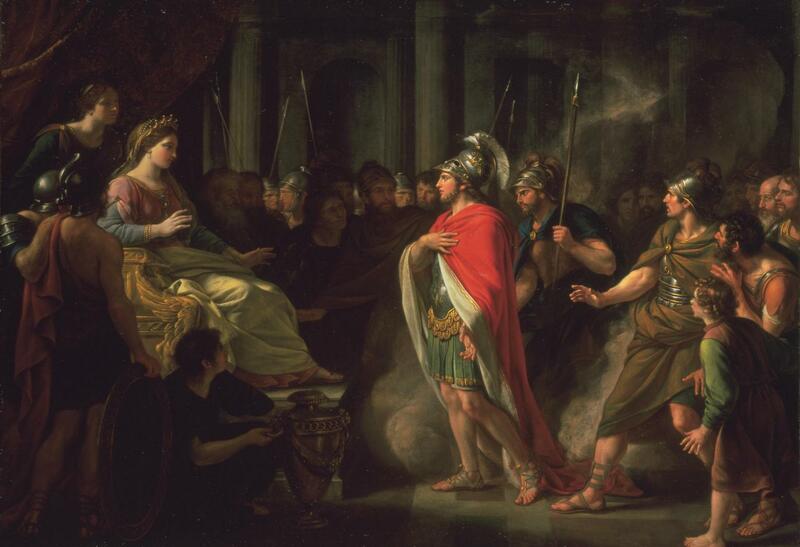 The Aeneid follows the legend of Aeneas from the last day of Troy up to Aeneas' victory and the fusion of Trojans and Latins into one people. “The Aeneid” (Lat: “Aeneis”) is an epic poem by Vergil (Virgil), the pre-eminent poet of the Roman Empire. It was his final work and the twelve books of the poem occupied him for about ten years from 29 BCE until his death in 19 BCE. 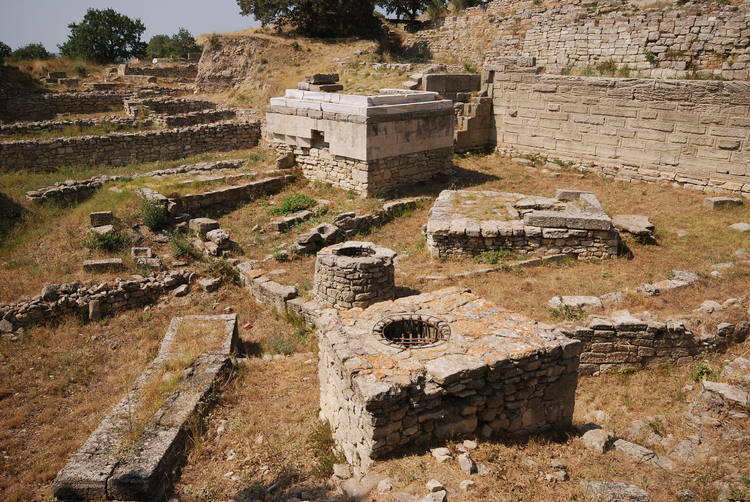 Ancient Troy commanded a strategic point at the southern entrance to the Dardanelles (Hellespont), a narrow strait linking the Black Sea with the Aegean Sea via the Sea of Marmara. 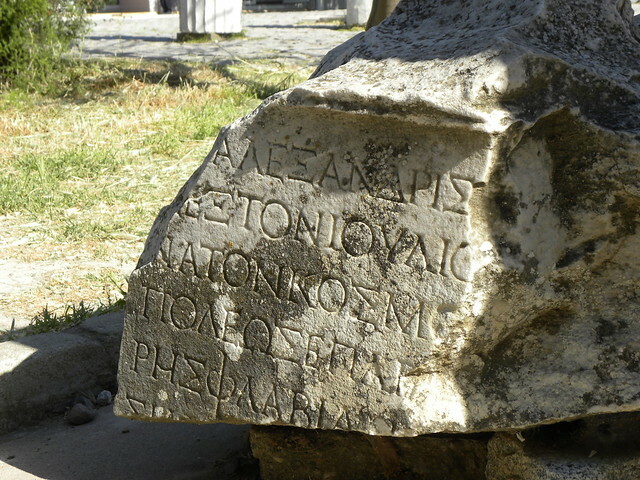 The city also commanded a land route that ran north along the west Anatolian coast and crossed the narrowest point of the Dardanelles to the European shore.